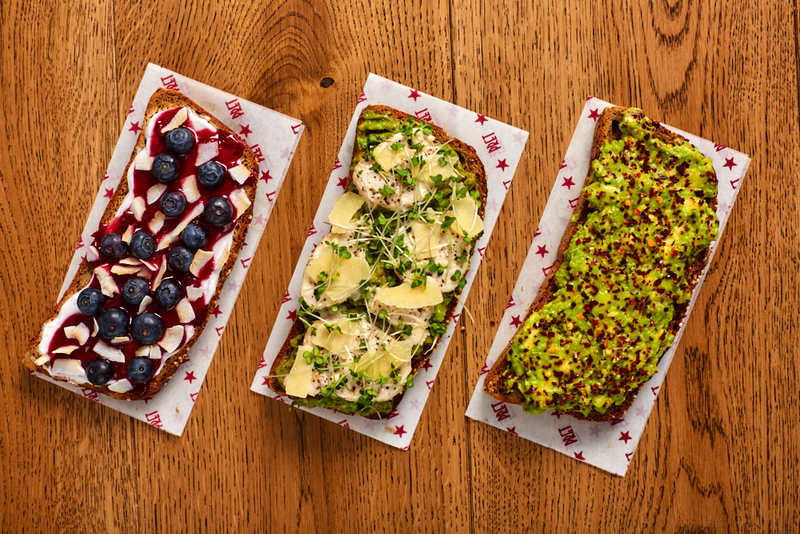 We’re big fans of hearty, savoury breakfasts! 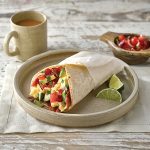 This spectacular gluten-free breakfast burrito is jam-packed with bacon, tomatoes, avocado and scrambled eggs to give you a delicious start to your day. We're big fans of hearty, savoury breakfasts! 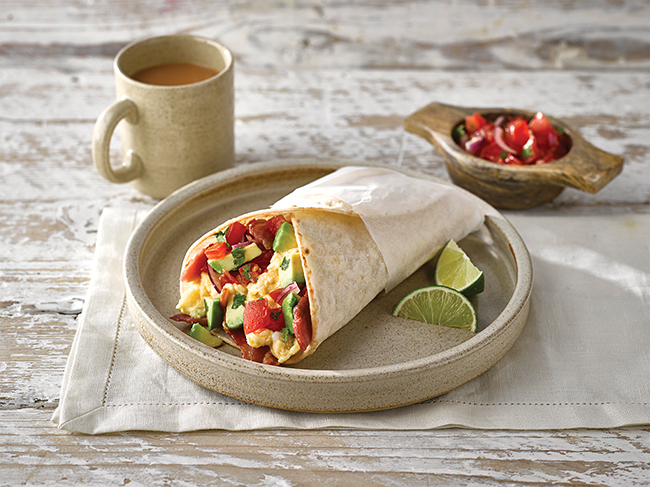 This spectacular gluten-free breakfast burrito is jam-packed with bacon, tomatoes, avocado and scrambled eggs to give you a delicious start to your day. a small bowl. Squeeze over the juice of half a lime and add the olive oil. Stir and set aside. Cut the other half of lime into wedges. Grill the bacon, then chop into small pieces. Meanwhile, dice the avocado. stir. Turn off the heat and allow the cheese to melt. Divide the scrambled egg between the two wraps, then top with the bacon pieces, avocado and salsa. Fold up and serve with the lime wedges on the side for squeezing over.